Advance tickets for the Staffordshire County Show are on sale from the Showground Office or website from 1st April 2019. Advance tickets from all other outlets will be available from 1st May 2019. Tickets can be purchased online through this website until 5pm on Thursday 23rd May 2019, direct from the Staffordshire County Showground main office (Monday to Friday 9.00am to 4.30pm) until 4.30pm on Friday 24th May 2019 or from advance ticket outlets across the County (see Advance Ticket Outlet page for details) until close of business on Saturday 25th May 2019 . You can also turn up on and pay on the day. 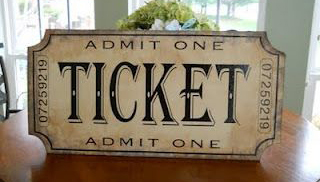 As a result of the growing popularity of the Staffordshire County Show we recommend that you purchase your tickets in advance to avoid having to queue at the ticket offices.